You all already know that the QuickJack is the easiest and most convenient product to use when raising your car off of the ground. And now, we have just received more stock of the BL-3500SLX and BL-7000SLX models. We’ve also just received stock of their newest addition to the line-up- the BL-5000EXT, which has been redesigned to accommodate vehicles with longer wheelbases. 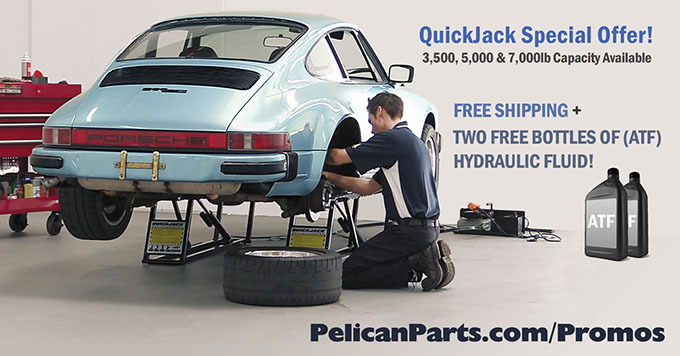 If you purchase any of these QuickJack units through us you not only receive FREE ground shipping in the continental U.S., but you also will receive two FREE 1 ltr. bottles of ATF fluid (required for set up). These savings are HUGE and you can even watch it in action at the link below!